Click here for our holiday and vacation hours. If this is a medical emergency, immediately call 911 or seek assistance at an emergency medical care facility. We can be reached via telephone at 425-423-0878. Please note that voicemail is not checked during holidays or after hours. Our Fax number is 425-669-9538. Email us at Help@SpecialtyNaturalMedicine.com Email is monitored during office closures and after hours, however responses may be delayed. Appointment requests can be emailed to us, or click here to use our secure online appointment request form. We are located at 8423 Mukilteo Speedway, Suite 101 in Mukilteo, WA. 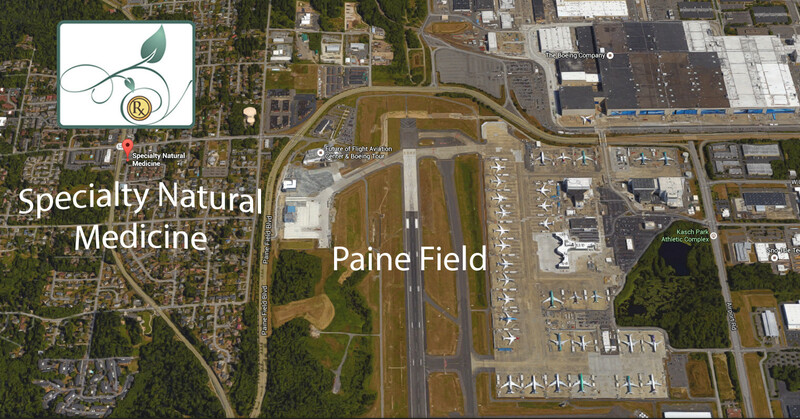 Our office building is at the South-East corner of 84th Street SW (Hwy 526) and the Mukilteo Speedway (Hwy 525). Click here to be taken to Google Maps for detailed directions.